Enryaku-ji, a Tendai monastery located on Mount Hiei "Hieizan" overlooking Kyoto, is the headquarters of the Tendai sect and one of the most significant monasteries in Japanese history. The temple of Enryakuji was founded by Saicho, the monk who introduced Tendai Buddhism from China into Japan in 788, and at the peak of its power, was a huge complex of as many as 3,000 sub-temples and a powerful army of warrior monks. 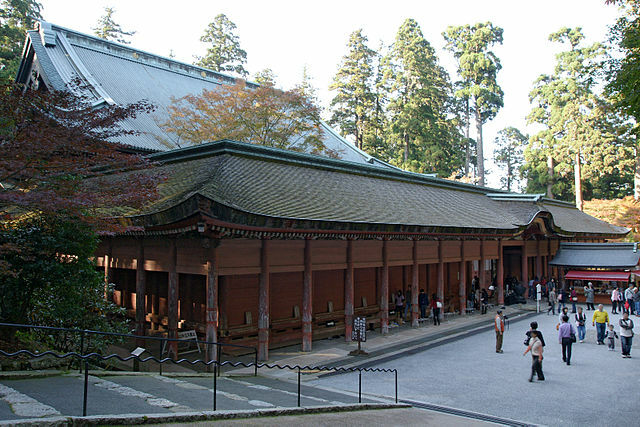 Many influential monks studied at Enryaku-ji, including the founders of a number of later sects, such as the Jodo-shu, Soto Zen, and Nichiren Buddhism. 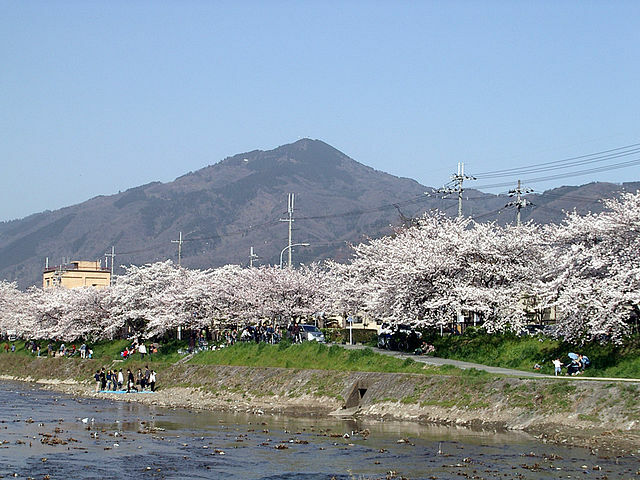 Mount Hiei lies to the northeast of Kyoto in the Sakamoto district of Otsu, capital city of Shiga Prefecture. Since many travelers come here from Kyoto, they often enter from the town of Yase at the base of the mountain on the Kyoto side. 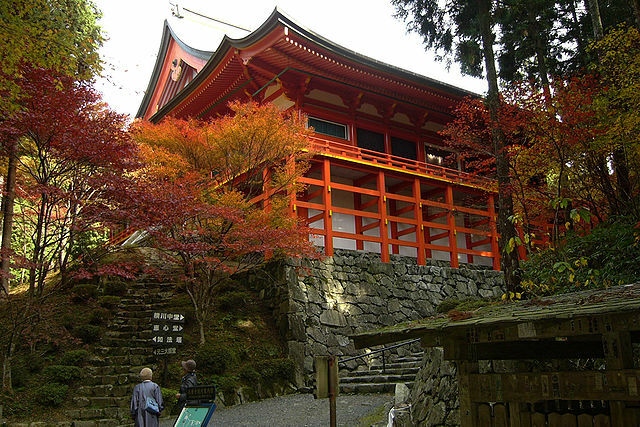 Enryaku-ji is part of the UNESCO World Heritage Site "Historic Monuments of Ancient Kyoto - Kyoto, Uji and Otsu Cities". 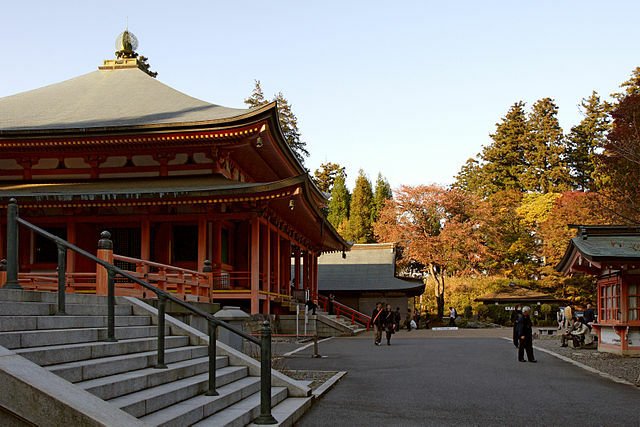 This large complex is generally divided into three sections known as the Eastern Pagoda Todo Area, where the monastery was originally founded, the Western Pagoda Saito Area and Yokawa. 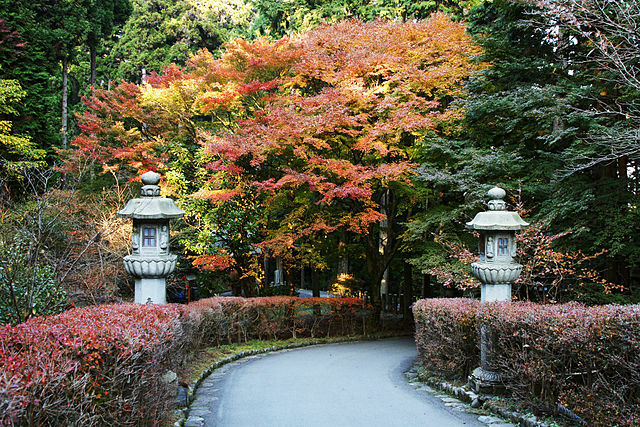 Most of the better-known temples are concentrated in the Todo area which is connected to the Saito area by a walking trail through the forest. 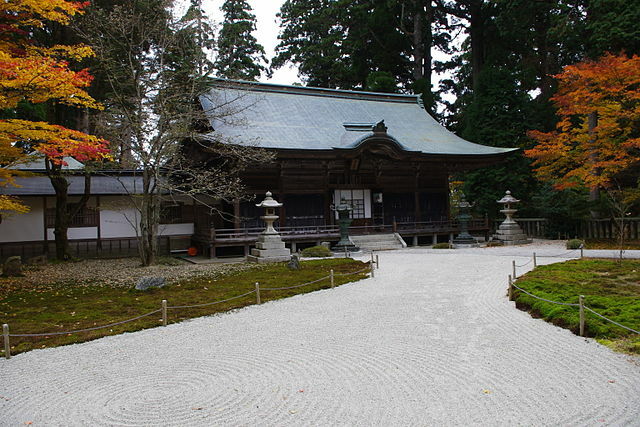 ​The Yokawa area is located several kilometers north of the other two areas and is visited by fewer people. The central hall of the temple "Konpon Chudo" contains the Inextinguishable Dharma Light, a fire that has been burning for 1200 years. There is always a monk assigned to tend the fire and chant sutras here. Both Sakamoto and Mt. Hiei are best covered on foot. 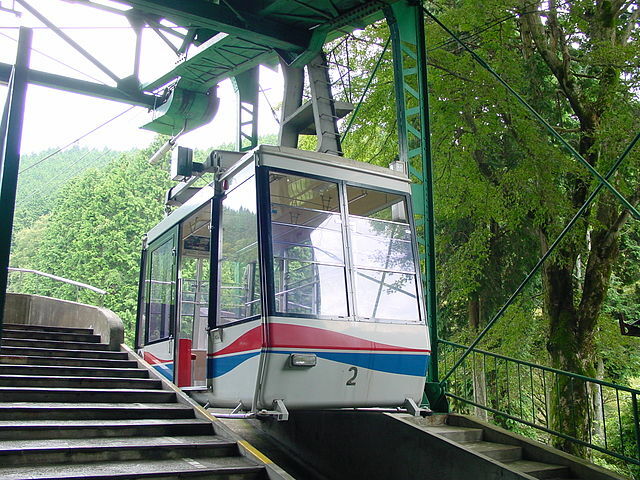 For going between the two, you can use the Sakamoto Cable Car, which runs daily from 8 AM to 5 PM once every 30 minutes. At over 2km, this is the longest cable car in Japan and takes about 11 minutes for the journey. The European style cars have large windows with wonderful views of Lake Biwa. A real pilgrim would of course scoff at mechanical contraptions and climb the mountain, which is fairly easy as this isn't really more than an oversized hill. The traditional route is a convenient path of mossy steps known as Honzaka, starting from Sakamoto, but it's still 500 meters "vertical" to the top. 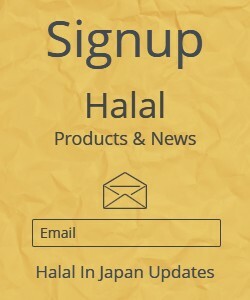 There are also many other routes, with numerous small temples and waterfalls along the way, but watch out as signposting "even in Japanese" is lacking. You may see monkeys along the way. 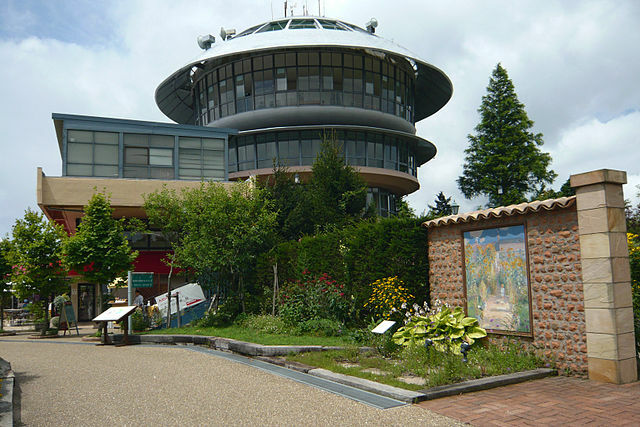 Both the Sakamoto cable car from Lake Biwa side and the Eizan Cable Car & Ropeway from the Kyoto side terminate near two broadcast towers and the Garden Museum Hiei, whose ticket booth has maps to Hiei's more traditional attractions, which can be reached by about twenty minutes' walk through atmospheric forest. Garden Museum Hiei features spectacular views of Lake Biwa, garden flowers, art galleries, a cafe, large outdoor reproductions of famous works of French Impressionism, and a lily pond with arched bridge that aims to replicate the Japanese garden designed by Claude Monet in Giverny, France and featured in many of his late paintings. The view from the Cable Car of Lake Biwa and Otsu city is majestic. ​Being so far up "848 meters", it is a cool retreat from Kyoto in the summer heat, and in autumn, it is one of the first places to see autumn foliage. ​By Eizan Cable Car and Ropeway – In Kyoto take the Eizan Main Line from Demachi-yanagi Station to Yase-Hieizan-guchi Station "takes about 15 minutes". From here the Eizan Cable Car makes the trip to the top of Mount Hiei "takes about 15 minutes". The last leg of the trip to the summit is a 3-minute ride on a ropeway, which departs at intervals of 10-20 minutes. From the summit, there is another 5 minutes’ bus ride or 30 minutes’ walk to the Todo area. Eizan Cable Car and Ropeway does not operate in winter - December through Mid-March. By Sakamoto Cable Car "operates around the year" - From Kyoto Station, the JR Kosei line goes directly to Hieizan-Sakamoto Station "takes about 15 minutes", which is a 1,200 meters’ walk from the lower station of Sakamoto Cable Car, or the trail-head to climb Mount Hiei on foot. 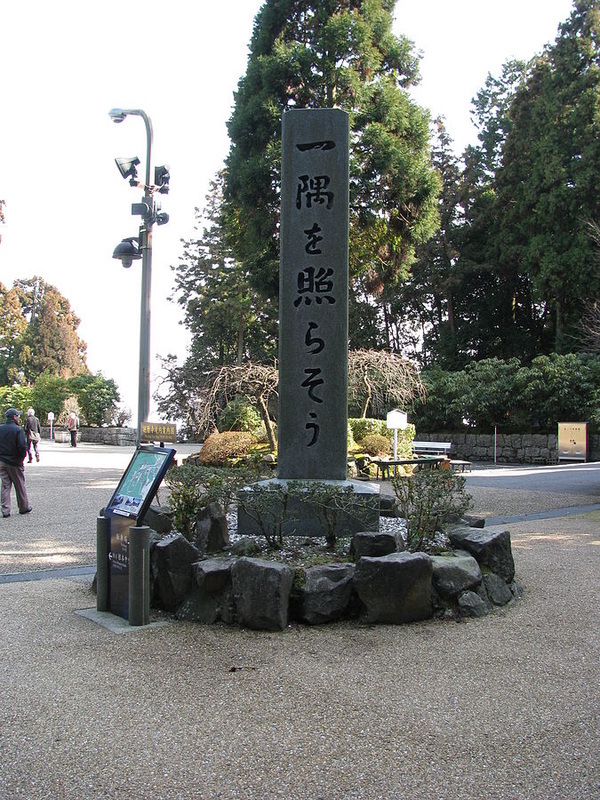 The Hiyoshi Taisha shrine and Sakamoto Cable Car to Mt. Hiei are about 15 min away on foot, both fairly well signposted. From Otsu, you can take the JR Kosei Line or Keihan Ishiyama-Sakamoto Line to Sakamoto Station "takes about 35-40 minutes", although the Keihan Station "the last station on the line" is more centrally located. By Bus - There are 4-6 direct buses per day, from Kyoto Station directly to the top taking about 1.5 hours and all departing in the morning.